W.O.R.T.H. 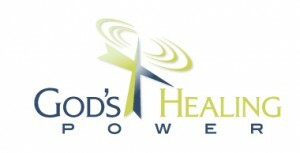 (Women on the Road to Healing) is a program designed to assist women in receiving the manifestation of the promises of God in their lives while releasing: hurt; abandonment; anger; anxiety; depression, dependency; fear; frustration; grief; guilt; insecurity; loneliness; low self-esteem; and powerlessness. Through the empowerment of the Holy Spirit and the open honesty of participates, we strive to: identify and address individual problems through groups and one on one settings when necessary; identify spiritual needs; how to cope with those situation that so easily beset you. Simply put, How to manage your personal life so you can become a woman of purpose and wholeness. This program is further designed to show the women that they are WORTH Jesus giving his life. These settings will be conducted in a Christian professional environment, inclusive of confidentiality.